Mellitah Oil and Gas is a joint company between the National Oil Company of Libya and Eni, one of the global super-players in the oil and gas sector. 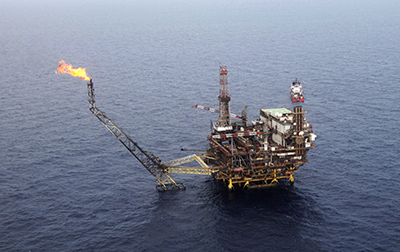 Mellitah Oil and Gas manages several onshore fields across Libya as well as offshore fields consisting of three platforms and a floating tank. It also manages a network of onshore pipelines of various sizes extending for thousands of kilometers. ESP and BHGE have worked together to design a customized, efficient solution for the wells, as the Bouri field is one of the most challenging environments in the region. Very high specification equipment has been used during the design and equipment selection phase, and all the electrical submersible pump strings are equipped with the latest downhole sensors to monitor the production parameters and the pump status. The work on Mellitah’s three wells is part of a six well campaign. These six wells contribute to almost 25% of the oil production in the Bouri field, considered to be the largest producing oilfield in the Mediterranean. The Bouri offshore field is part of Block NC-41, which is located 120 km north of the Libyan coast in the Mediterranean Sea. It was first discovered in 1976 at a depth of 8,700 feet.